We’re opening our doors for a week to artists wanting a place to write, rehearse, recharge, relax, and be creative. We’re offering full board – accommodation and all meals – from dinner on Monday evening until breakfast on Friday. You’ll be here alongside other artists so if you’re someone who likes to share ideas, experiences, advice and support, then this could be right up your street. We’re limiting this opportunity to around 15 – 20 artists, and we’re asking for a nominal fee of £30 per head. 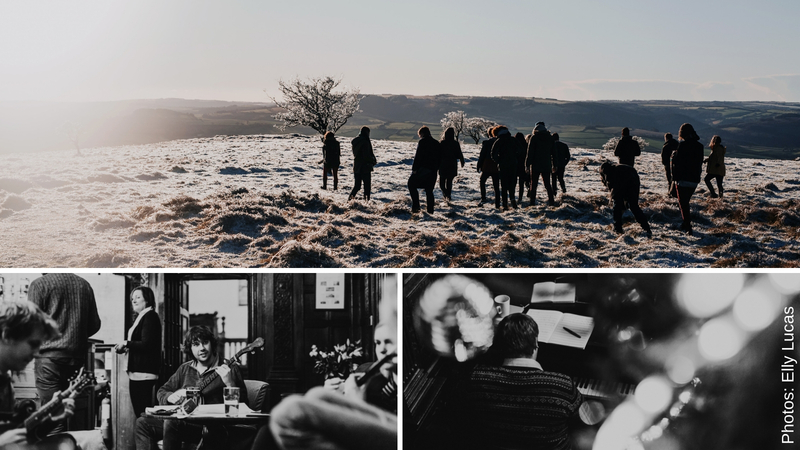 Halsway Manor, set in beautiful West Somerset has a variety of resources, including the biggest folk library collection outside of London, large and small rehearsal spaces, and a lovely wood panelled bar (with log fire, naturally). There’s direct footpath access from the Manor onto the Quantock Hills, the coast is 5 minutes’ drive away, and there are views to Exmoor from our door. Nearest mainline station is Taunton, from which there’s a regular bus service stopping an easy 5 minute walk from our door. Professional musicians – bands and solo artists – at all stages of their career are welcome to apply; please email communications@halswaymanor.org.uk with a recent biog, and a paragraph explaining why this opportunity would be important to you. Enquiries close on Friday 2 November, and we’ll let you know by Friday 9 November whether your application is successful. Thanks for your interest, and feel free to share this with others.